Perhaps one of the biggest hurdles in running a small business is that there just never seems to be enough hours in the day. We’re constantly juggling the need to service our customers, stay ahead of our competitors, somehow manage Read More. . . If you’ve been following this blog for any length of time, you may have noticed that I’m constantly talking about staying current and connected to not only your customers but also with what’s going on in your business or industry. Read More. . . If you’ve started to noticed that you’ve got a great following on social media or have consistent foot traffic in your shop, but no real traction online. You may want to take a second look at your website. When I Read More. . . If you’ve never owned a website before it can feel like you’re climbing Mt. Kilmanjaro. You have so much information to sift through when it comes to figuring out where to register your domain, which web host to choose, whether Read More. 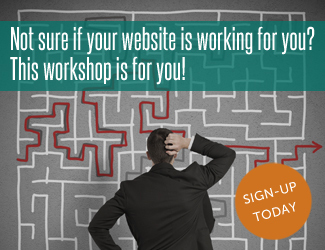 . .
Have you recently launched a website, but you just can’t seem to get any real traction online? Are you aggravated by how much time it takes to figure out how to make the simplest of updates to your site? If Read More. . .
OK before I even begin. I have to warn you – this is a big topic and a big post. I have been avoiding this, but I’ve had so many people ask about this, I just decided to tackle it Read More. 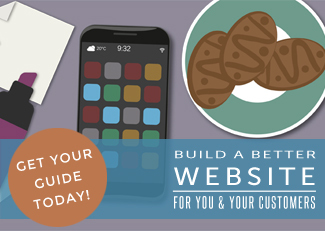 . .
What Type of Website is Best for You, Your Business & Your Budget? As a small business owner myself, I can say with a fair amount of confidence that our biggest fear is getting talked into buying something and then later finding out that we bought the wrong thing. We’re terrified of the Read More. . .